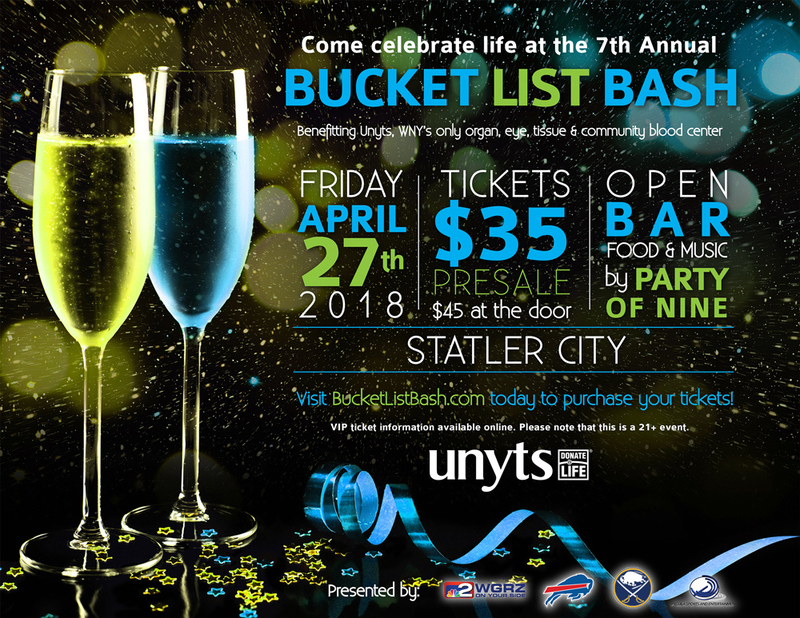 2018 Unyts Bucket List Bash | B Team Buffalo Inc. 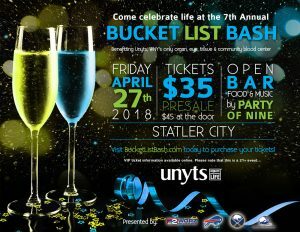 Volunteers are needed to assist with set up, breakdown of the event, serving food, and helping to run bucket list stations at the 2018 Unyts Bucket List Bash. Volunteers must be 21 or over and will have a break in the evening to enjoy food, drinks, and bucket list activities. This is an incredibly fun volunteer event and proceeds raised at the Bucket List Bash benefit Unyts, Western New York’s only organ, eye, tissue, and community blood center. If you have any questions, please contact Alana at alana@bteambuffalo.com.